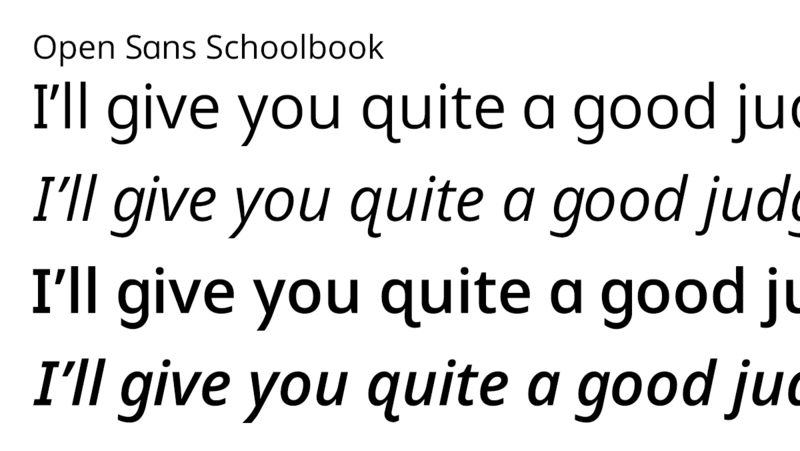 In Learn with Homer, we use the Roman and italic variants in two weights of Open Sans Schoolbook. Here, we have the lowercase alphabet in both weights. 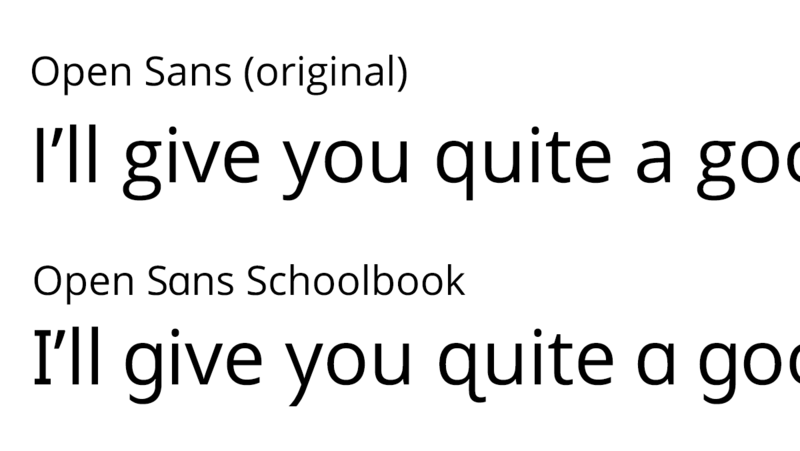 Five letterforms were edited across the variants of Open Sans. 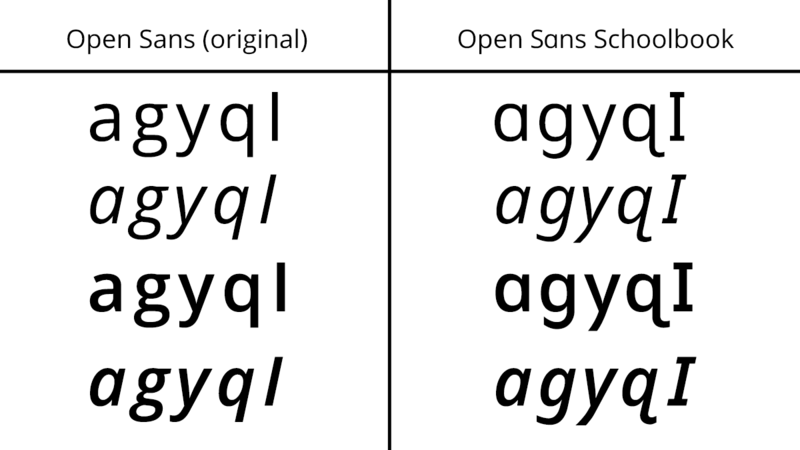 Note that the italic variant of Open Sans already uses a simplified letterform for the ‘a’ glyph. This is one of many subtleties to the original design of Open Sans that make it quite a sophisticated typeface—one of the many reasons I appreciate it. 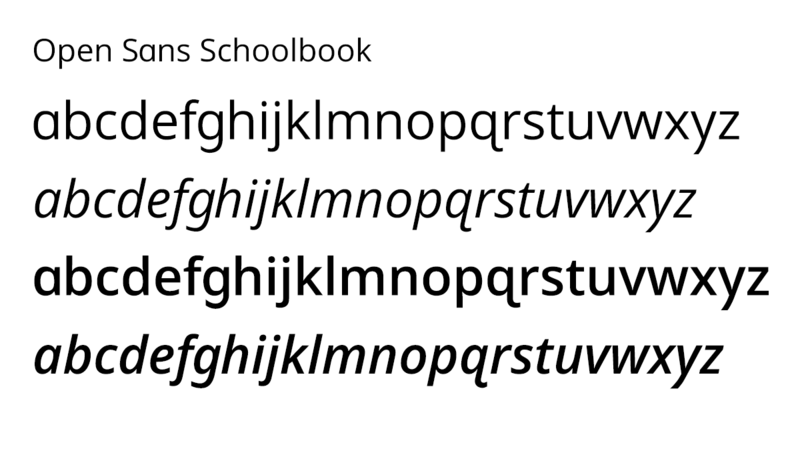 Open Sans and Open Sans Schoolbook with sample text that uses all of the modified glyphs. While the simplified glyphs might seem less sophisticated to adults, they are much simpler for young children to read, since these are the letter shapes that they are taught to write by hand. 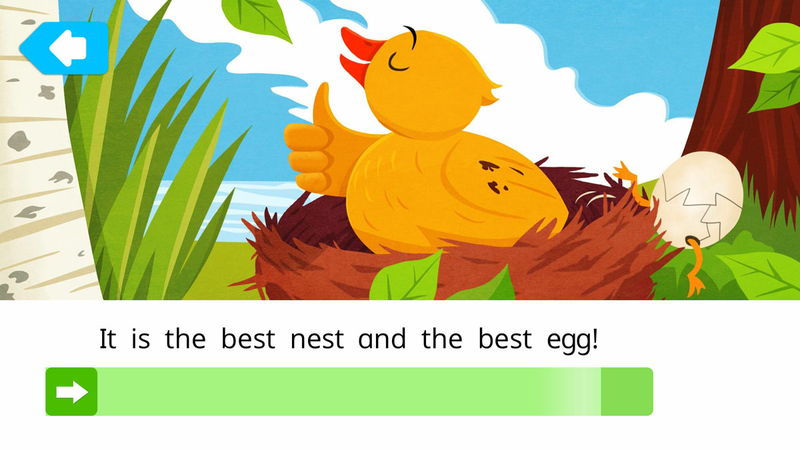 Open Sans Schoolbook with sample text in all four variants used in the Learn with Homer app. Note how the tail of the ‘q’ mirrors the tail of the lowercase ‘j.’ Wherever possible, I borrowed characteristics of existing letters when I modified glyphs so that the font family would remain visually cohesive. 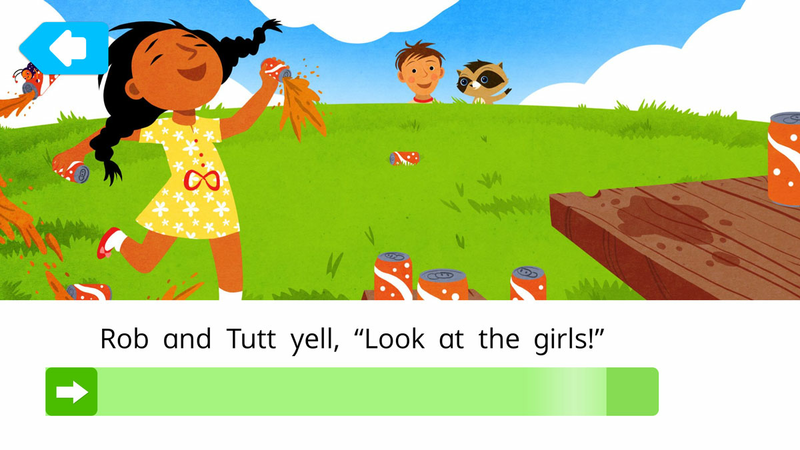 A sample of the letters I, a, and g as found in ‘first readers.’ Note: these first readers have double spaces between words to make it easier for children to distinguish words in their first stories. Learning to read is hard, so we do everything we can to break down barriers for kids while they are still learning. A sample of the letters a, y, and g in a first reader. 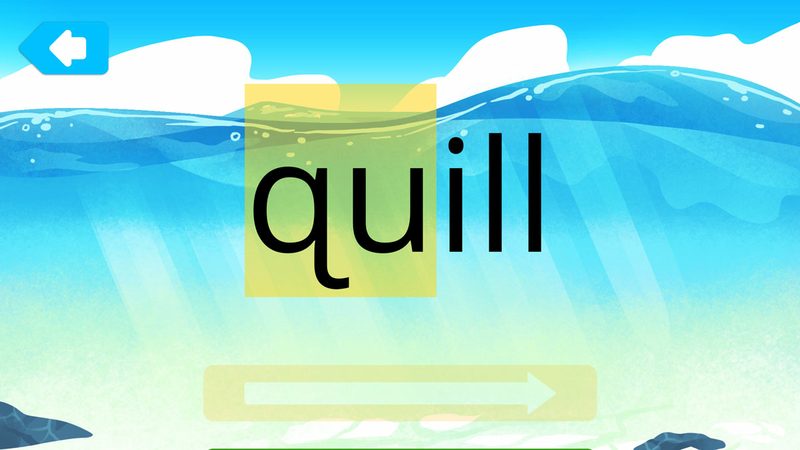 A sample of the letter q in reading practice. The highlight slides across the letters as the word is sounded out.